I've always wondered how the solar panel system works on a sail boat whether its luxury or a passenger vessel or a racing boat. How to implement solar cells or panels on a sail or just on the deck or on the roof? How efficient will they be? How would they interact with wind? What useful applications can we get from these solar panels on a boat? Here are some cool concepts that i think are well worth looking into. 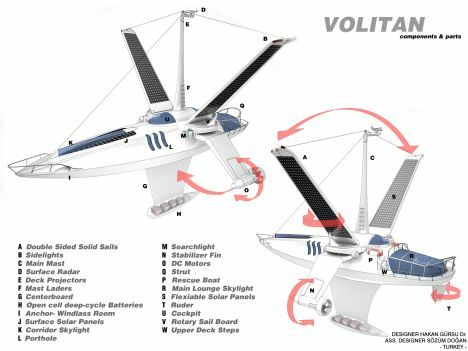 First concept sail boat is called the Volitan. This design is so revolutionary that some people think its not even going to make it to production. None the less this sail boat definitely has the cool factor to it and it looks very feasible in theory. This video shows how the concept could work. Of course, there are still many ups and downs to this concept but none the less, they need to hurry up and make a prototype and test it to see how it does. The second solar boat is called "Solar Wing" developed by an Australian company called SolarSailor. 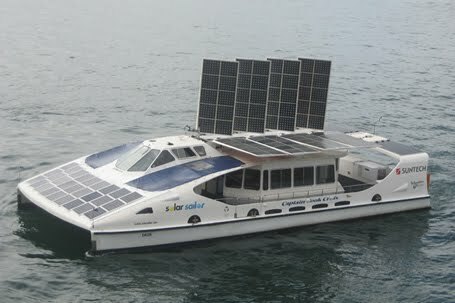 They do mostly passenger vessels and ferries which are powered by solar panels and fuel (hybrid system). "This latest development, the new solar catamaran ferries, is a very bright chapter in the environmental commitment" says the GM of SolarSailor company Cameron Halliday. This ferry is functioning in Hong Kong harbor today. This type of boats are excellent solution for one of the most polluted cities in the world. The CEO of SolarSailor, Robert Dane, certainly knows the future of this technology and the direction its headed. The third boat is a distinctive catamaran. While i was writing this article, i wondered what might be the largest solar powered boat in the world and I found the answer to be the "PlanetSolar". 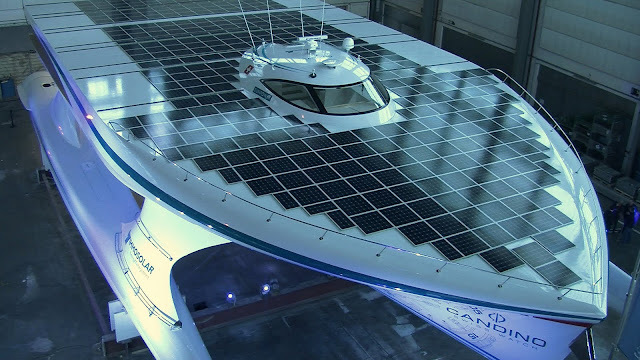 Meet the world's largest solar powered boat designed by Swiss manufacturer, PlanetSolar. Voila! "The boat can travel for 3 days and 3 nights before it needs to be recharged". That is pretty efficient. Weighing at 60 tons with a top speed of 15 knots can fit only about 15 people. What i would like to see: In the near future, what i would like to see is a sail that is actually made up of solar cells and not a sturdy solar panel. What I'm talking about is a solar sail that does what today's normal sail does. The solar sail should, bend, curve, flex, retract, basically do everything that a normal sail would do and still produce solar power for the boat. I'm talking about implementing flexible solar panels onto a sailboat. The technology is already available, it just hasn't been implemented yet. So basically take this flexi-solar panel and make a sail out of it. I have not sailed before and I'm pretty sure its very hard. But these sails would provide dual purpose. Catch the wind AND the sun at the same time. My Opinion: Installing solar panels, or solar cells on a boat is a great idea and a leap forward in the marine world and the green energy revolution, but most of the concept boats and the currently existing solar sail boats have a very low speed. 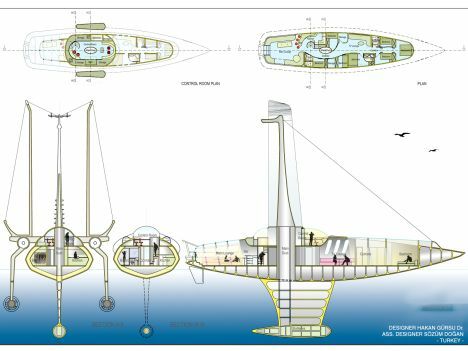 I personally would not want to crawl through the sea even though it would be powered 100% by solar cells. I would rather have both speed and eco-friendliness. If we want more speed then we have to go with a hybrid system (solar + fuel). I personally would rather drive a hybrid Mustang that is eco-friendly than a Prius, if given the option.